At Aurora Tire our philosophy is simple- provide the best equipment and latest technological innovation and not only do you get a higher quality job, but it allows us to keep our costs down by completing the job more efficiently. We are proud of our equipment and we take pride in our work. You will only find the newest equipment serving your vehicle- because that is all we have. You may not realize why the job is done right- but a big reason is because we use top of the line Balancers, Tire Changers and Nitrogen Fill stations and Torque Wrenches. We hand-torque every wheel after installation. We also train our staff on an ongoing basis- to ensure the job is done right. The Hunter Hammerhead laser balancer- ensures the best balance- each and every time. Using laser accuracy- the hammerhead allows technicians to place weights exactly where they reduce vibration. It allows weights to be placed behind spokes or in specific locations to hide weights when required. Hunter is North Americas premier balancer manufacturer often found in dealerships like Mercedes,BMW, Audi, Cadilac and Porsche. 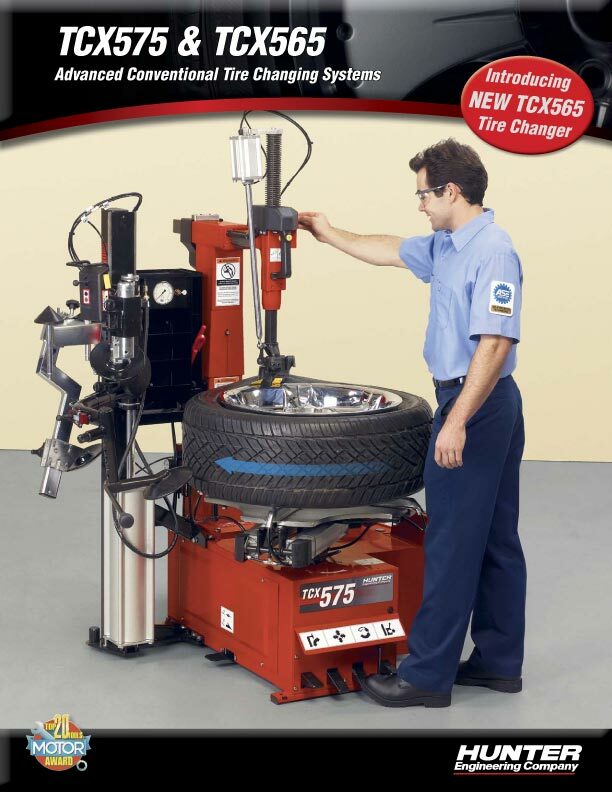 The Hunter TC515 is a touchless tire machine capable of servicing hi-performance wheels with accuracy and control.